If you love customized shirts, you will love what LOL has launched because with the introduction of Cozmic Lab, a new innovative platform by LOL, you can choose and customize your own designs on your apparels. Cozmic Lab was materialised from a unique collaboration between LOL and Brother International, one of the world’s most renowned brands in printing and imaging technologies. 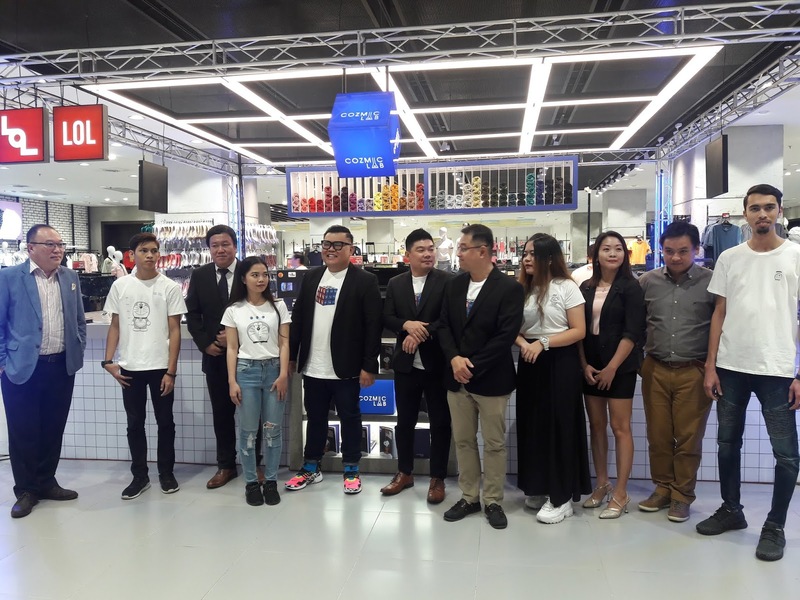 Moving beyond the ready-to-wear apparels, Cozmic Lab offers customers an exciting, cost-efficient and environmentally friendly avenue to co-create or customise their own apparel. Utilising digital technology, customers are able to select the apparel’s design, quality, quantity, types and location to collect the final product. Furthermore, budding entrepreneurs are also invited to create their very own fashion products by leveraging on Cozmic Lab. 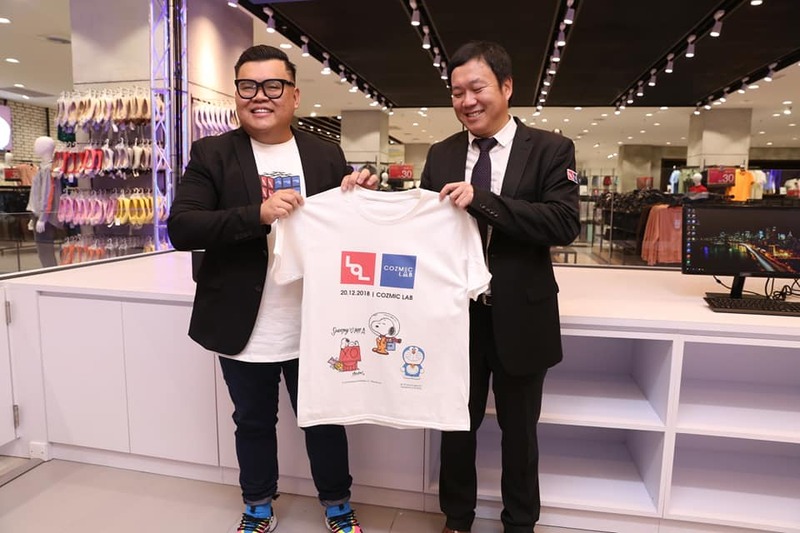 "As Malaysia moves forward towards embracing Industry 4.0 as well as the digital economy, LOL is thrilled to be at the forefront of a platform that is rich in e-commerce, data analytics and Immersive Experience potential. 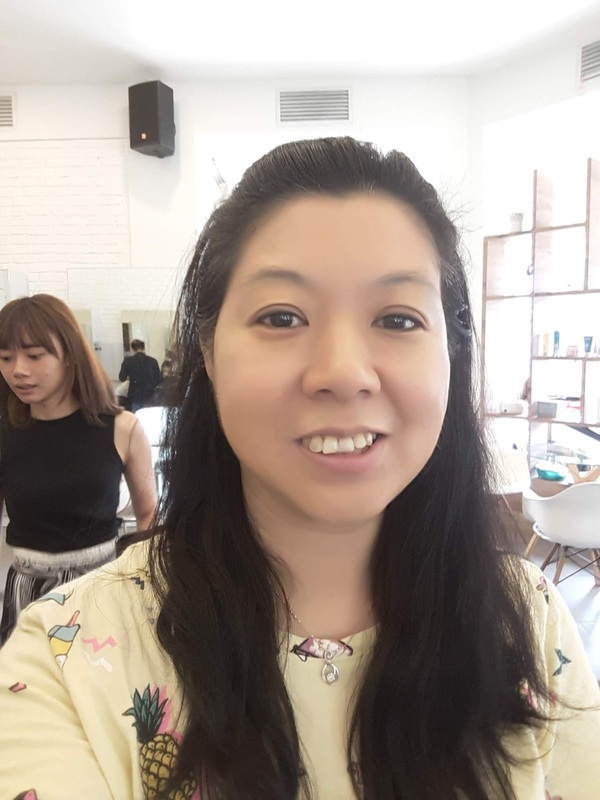 Cozmic Lab is also revolutionising the way fashion retail brands do business; we are inviting other entrepreneurs to utilise the platform to create their very own range of products,” Chong added. Itsuo Segawa, Country Head of Brother International (Malaysia) Sdn Bhd, said, ”We are delighted to work with LOL Malaysia in creating a unique platform that allows customers to curate their own apparel with Cozmic Lab. We are always focused on providing hassle-free, easy and cost-efficient imaging and printing solutions to customers and this collaboration is an example of how we can achieve our goal." Cozmic Lab has a series of designer and multiple international brand collaborations to enable customers to create apparels that are unlike any currently available at LOL. 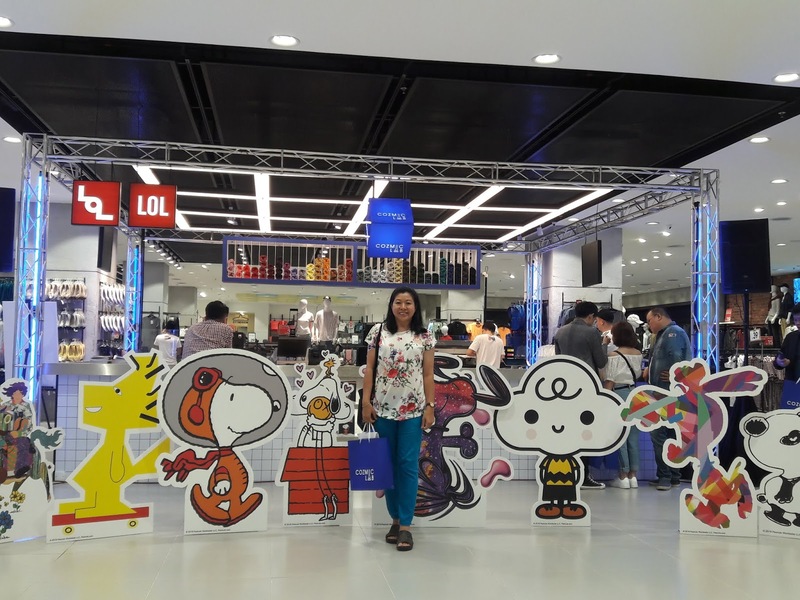 Customers can look forward to iconic characters including Doraemon, Lotto Lifestyle Collections and, for the first time in Malaysia, Peanuts Global Artist Collective, Peanuts and Nasa as well as a complete collection of Sega’s Sonic. There are over 200 visuals to select from and customers can even upload their own creation. 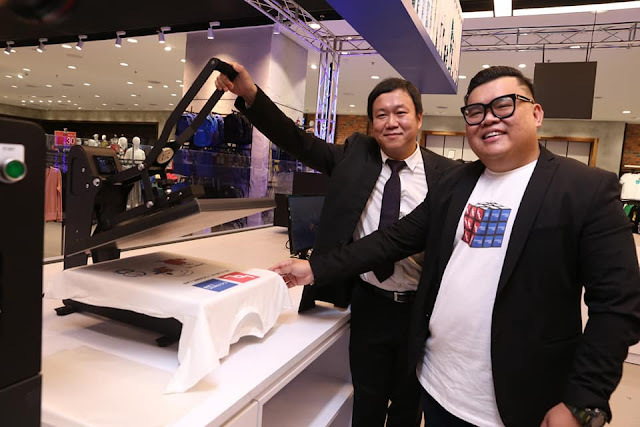 The OEKO-TEX 100 certified brother digital garment printer will be able to generate the final product quickly and easily, one minute for one apparel. Overall, the printing process is environmentally friendly as it uses water-based inks and cleaning solutions. The personalised fashion apparel will not be limited to only clothing but also selected footwear and accessories. 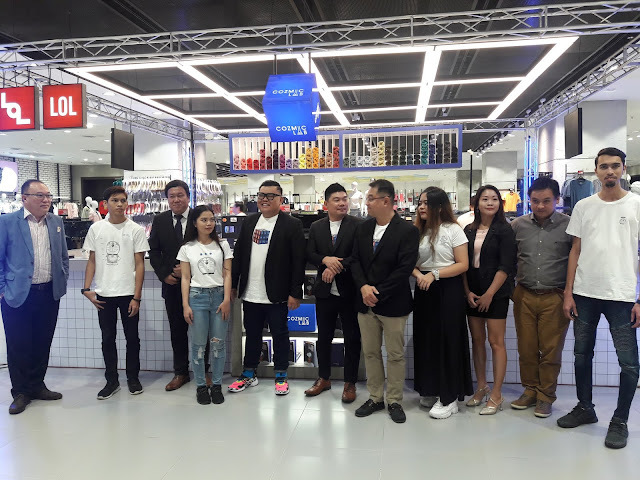 Moving forward, Cozmic Lab will expand its capabilities by bringing more unique and exclusive collaborations as well as continuously modernising its offerings with self-pick up at the kiosk, delivery services and further design aesthetic. 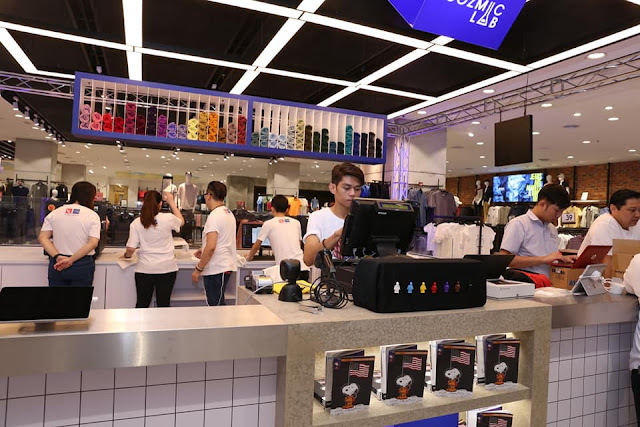 The platform will also be embracing more technology innovations including embroidery and 3D printing, providing customers with a seamless experience. 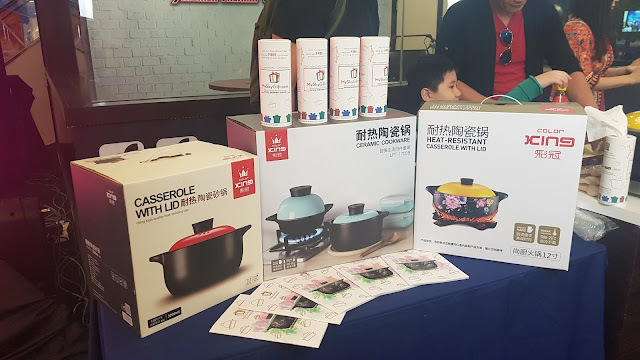 Cozmic Lab is now available at LOL store in IOI City Mall, Putrajaya, and will be opening at LOL stores in Sunway Pyramid, Sunway Velocity, Berjaya Times Square and Paradigm Mall Johor Bahru, throughout December. 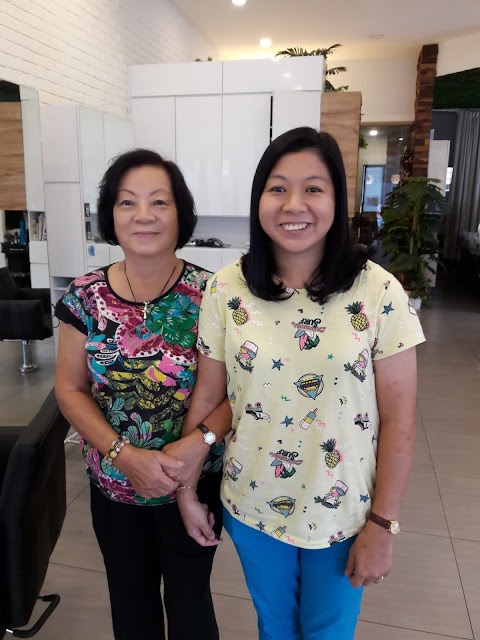 Recently my mom & I had our hair makeover done at E3 Salon Masjid Jamek. 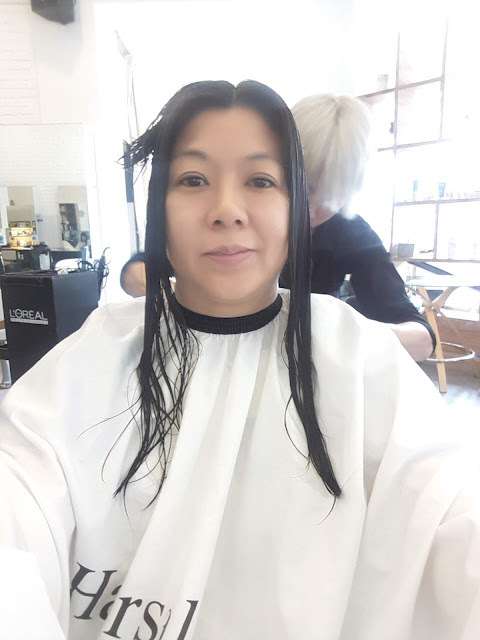 This was my second time I had my hair makeover done there. 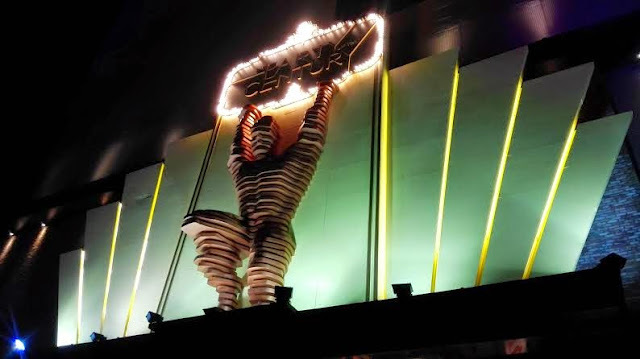 To read more about my first experience, click HERE. 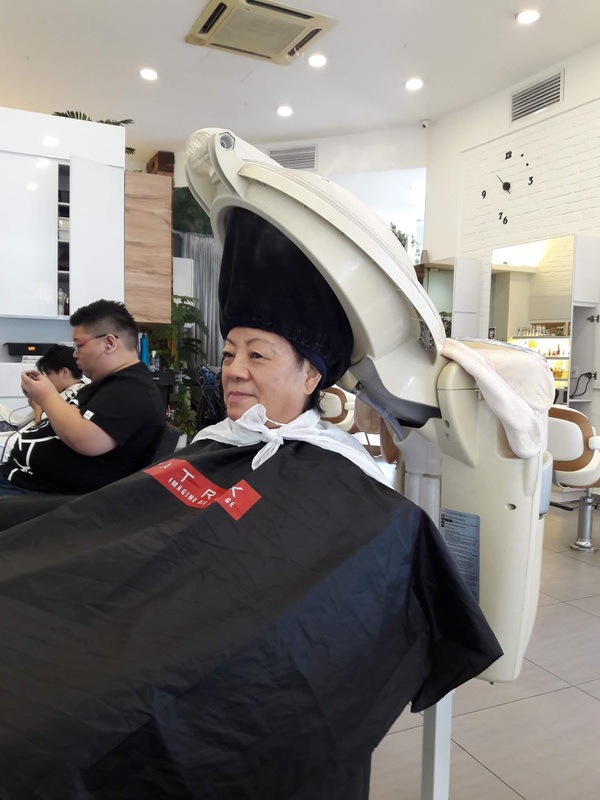 Even though it was my mom's first time there, she was very satisfied with their service. Both of us had a great experience getting our hair done by their friendly staffs. We took the LRT public transport there since it was very convenient as E3 Salon Masjid Jamek was about 5 minutes walking distance from Masjid Jamek LRT station. This was how we looked before getting our hair makeover. 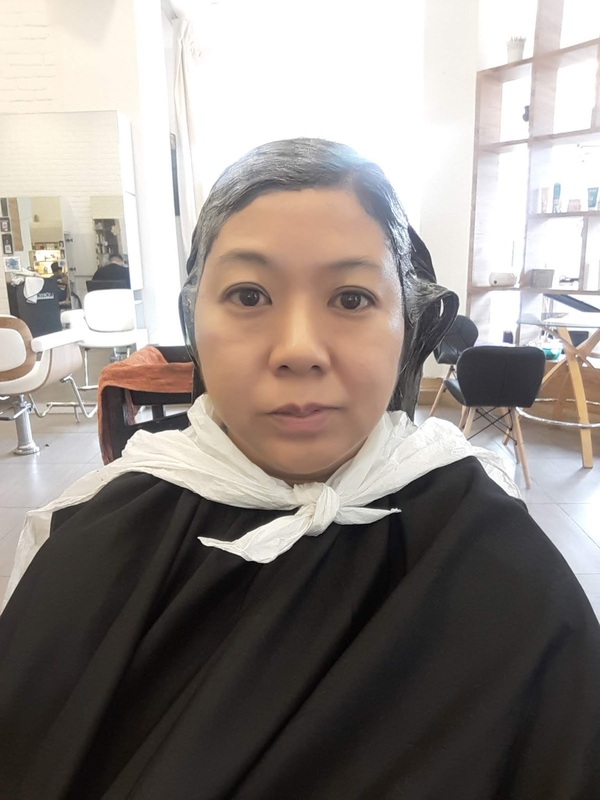 Mom & I both dyed our hair dark brown / black to cover our grey hair and we did our hair treatment too. We wanted to dye our hair lighter color but their staff advised us that it was better to dye dark brown / black because if we bleach our hair, our hair might look too dry. 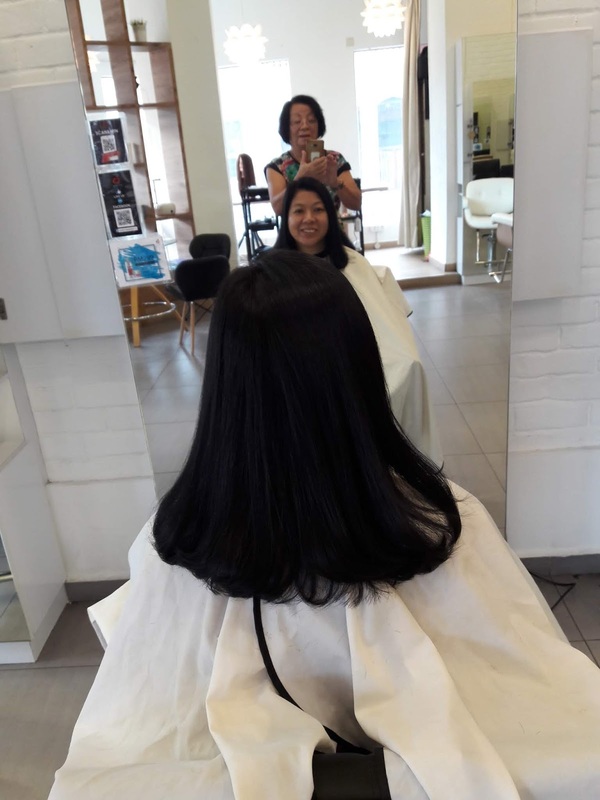 For me, I had my hair cut a little shorter for easier maintenance before getting my hair dyed and doing the hair treatment. We got our hair washed with warm water. After our hair was clean, the staff dyed our hair. We waited for about 45 mins while browsing through their magazines provided. Since this time I came with my mom, I did not feel that boring because I could chit chat with her. Mom & I had our hair washed again before continuing with our hair treatment. 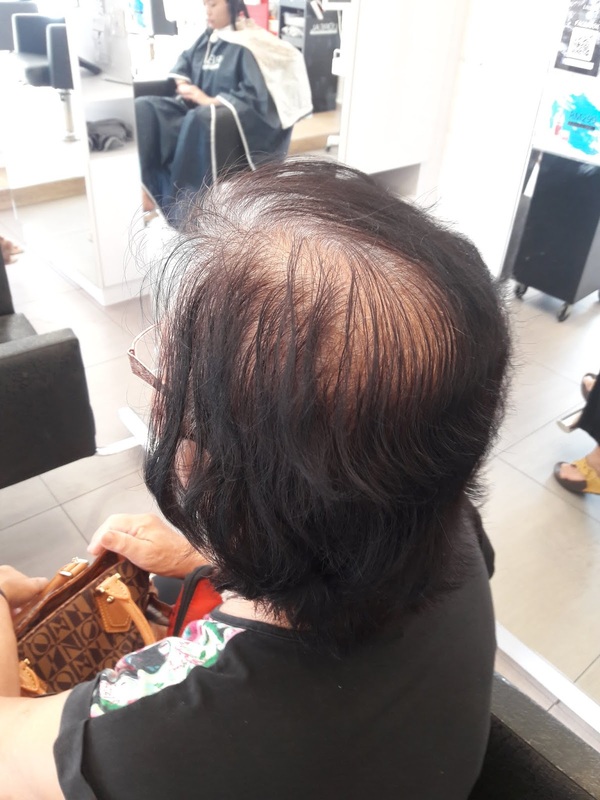 This hair treatment was done with a machine with steam to give our hair a more moiturized, smoother and softer look. This took about 20 minutes. 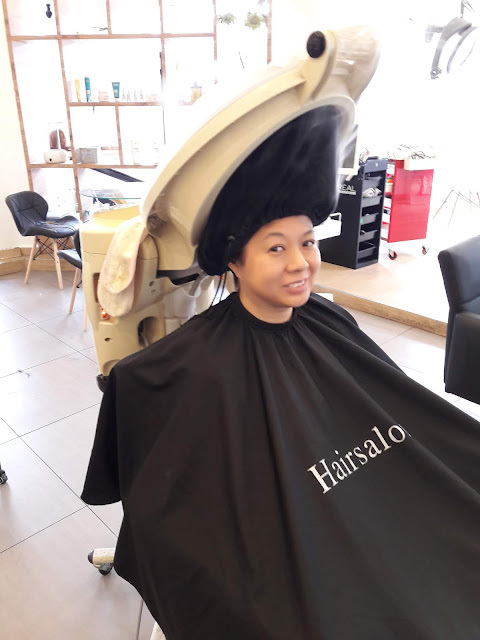 I needed this hair treatment because my hair was dull and frizzy. My mom & I were satisfied with our hair makeover here. We looked much younger and prettier. Our grey hair was covered perfectly and now our hair looked a lot nicer and smoother. The whole process for me took about 3 hours. 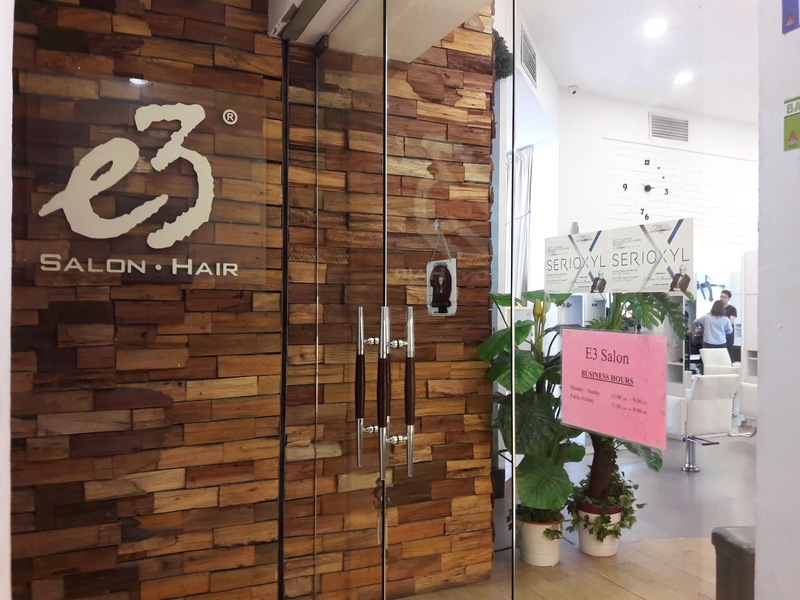 If you are looking for a good hair salon, you can visit E3 Salon Masjid Jamek. 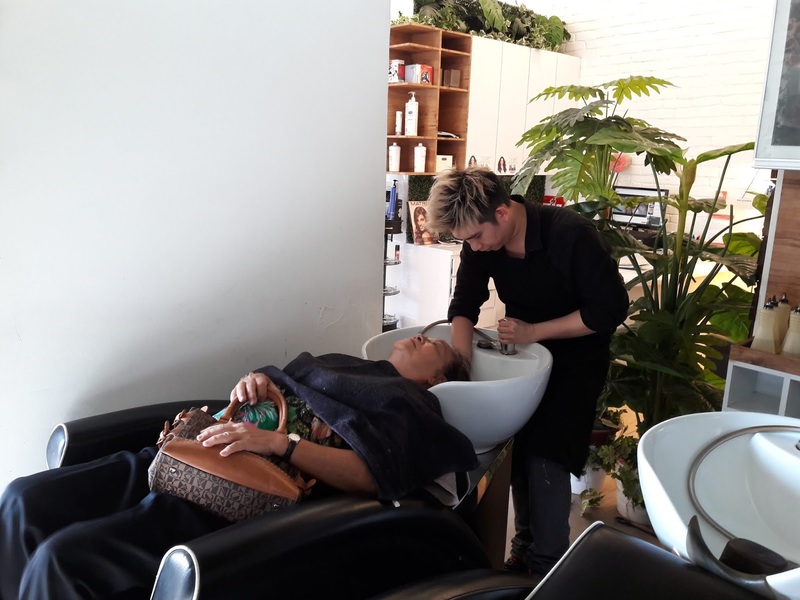 For more information about this salon, please check out their FACEBOOK page. 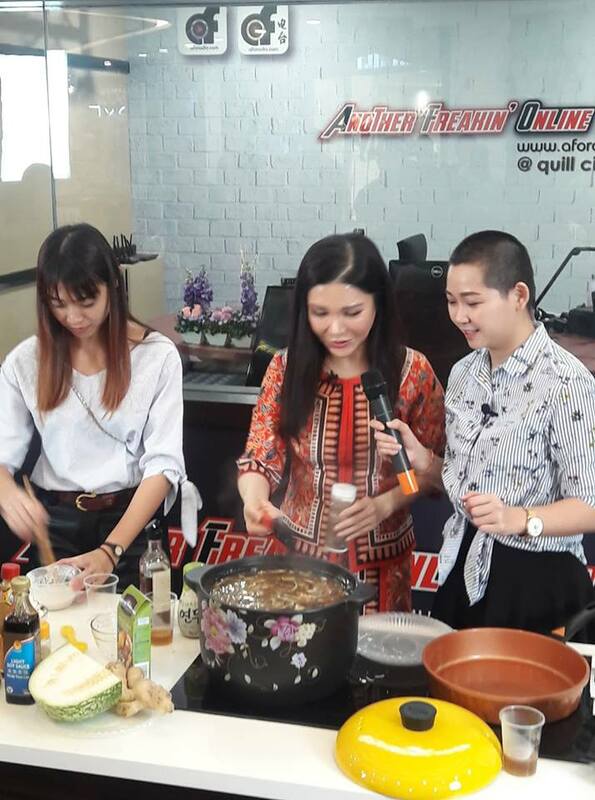 I attended a very interesting Hong Kong Style Vegan Beauty Soup and New Year Healthy Drink cooking demo by the beautiful Ms. Ginnie Lam, the founder of Ginn International at Quill City Mall recently. Please say no to shark fin soup and help keep our oceans clean. 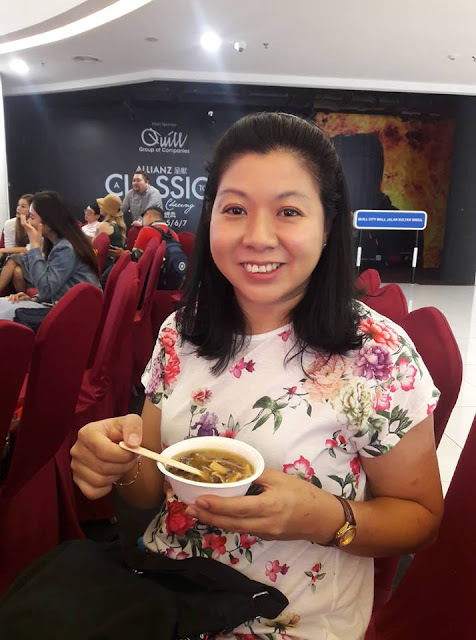 If you love to drink shark fin soup and want to stop hurting the sea creatures, you can try cooking this vegan beauty soup which is a great substitute. In support of the Ocean Hero Conservation Run, Ginnie worked with her Social Enterprise Partner (Blossomly Global) and her Official Online Radio (AFORadio.com) to promote awarenesss on marine Iife conservation by cooking up a storm with her very own recipe of a HK-Style Beauty Vegan Soup using 3 main types of mushrooms, vegetables including shark fin melon, fungus, bamboo shoots, tofu and glass noodles. A special kind of red vinegar popular in HK was also added to create a uniquely flavored broth to replace shark fin and crab meat soup so loved by Chinese especially during wedding dinners. 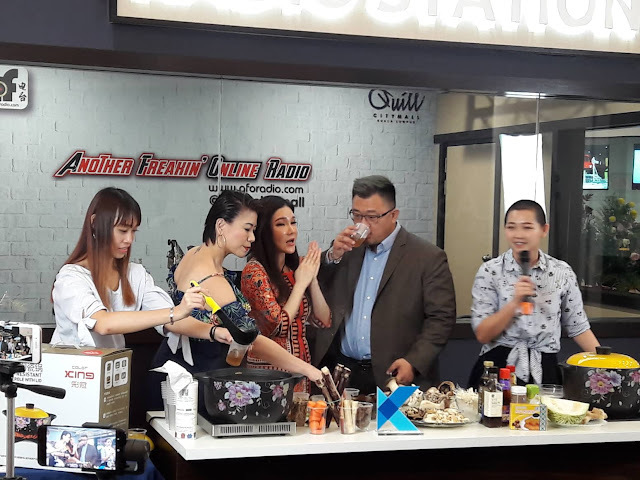 Ginnie also prepared a special HK Herbal Tea that acts to cool down the heat from our body due to tropical climate and serves as a wonderful substitute for our traditional Turtle Jelly concoction which uses turtle parts in its making. 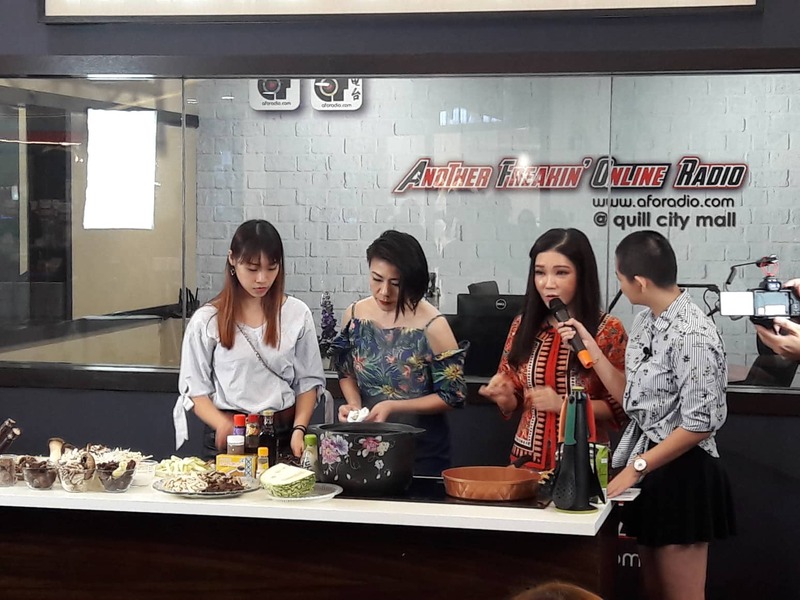 Ms. Ginnie Lam has a wide knowledge on beauty, slimming and health food. 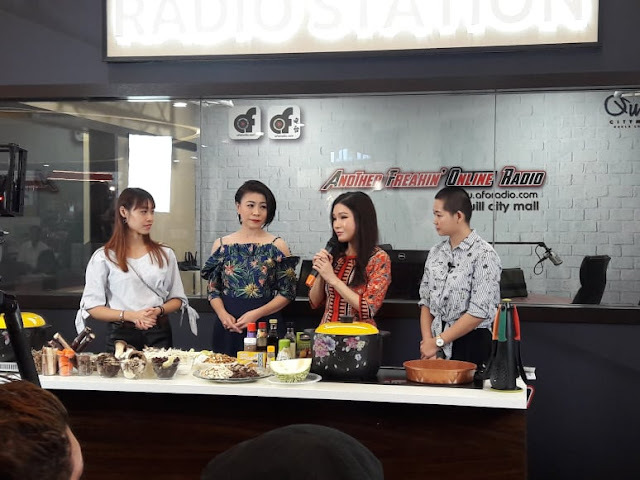 She gave some advice on certain food which is only suitable for certain people and how to identify if we are suitable for that particular type of food. The healthy drink - HK Herbal Tea was a little sweet and tasted very refreshing. It allows our body to cool down. William Lim, CEO of AFORadio tasted the healthy HK herbal drink. 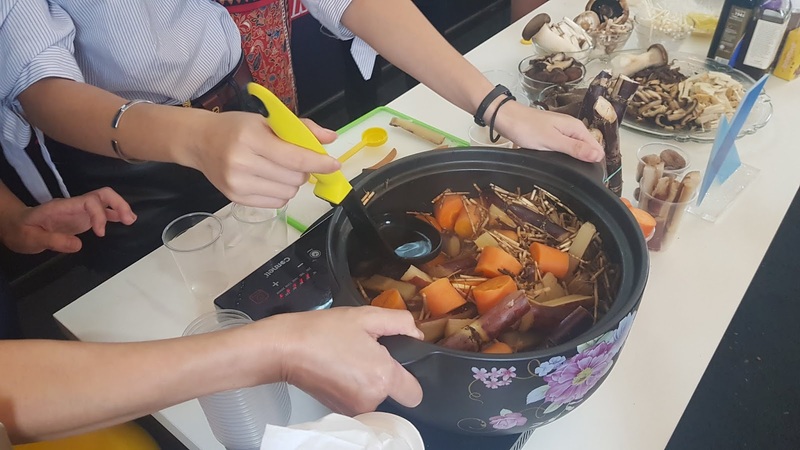 When the vegan beauty soup was ready, everyone was excited to taste it. It smelled nice and you can add vinegar to it if you like. 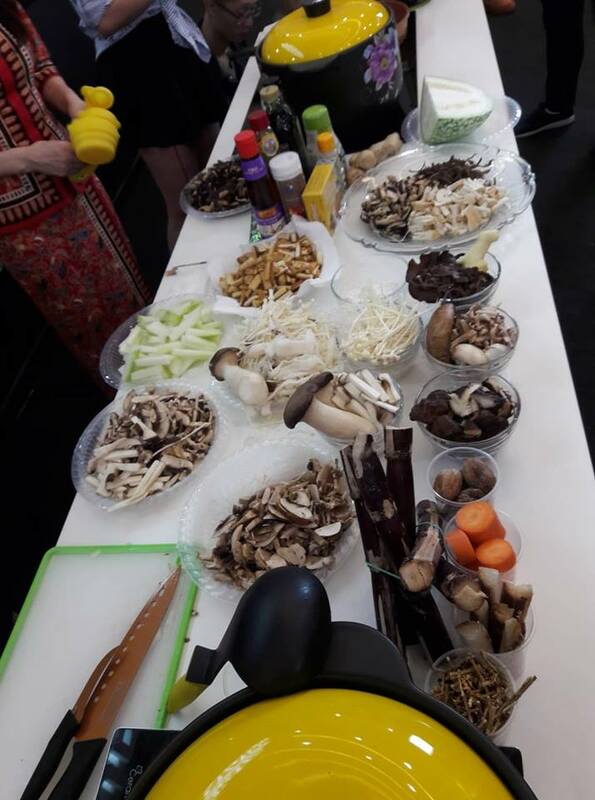 I was happy to learn how to cook the Hong Kong Style Vegan Beauty Soup and New Year Healthy Drink since Chinese New Year is coming. 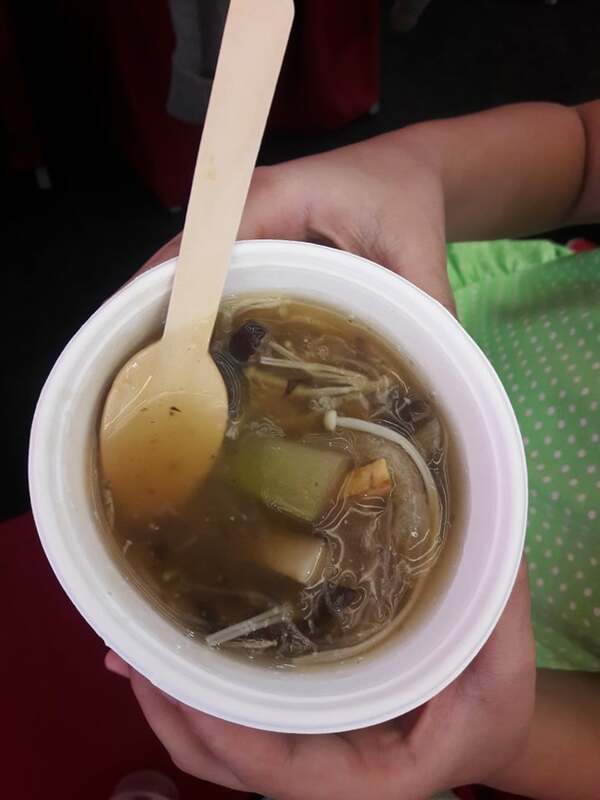 The vegan beauty soup was very tasty and the health drink made my body feel cooler. The cooking time was about 1.5 hours using the Color King cookware. 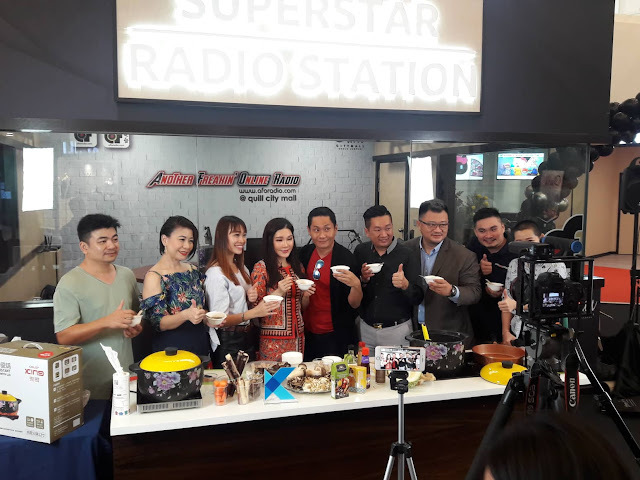 I am looking forward to more of Ginn International's Fairy Queen Beauty Pageant and Star Brand Awards Grand Gala activities leading up to June 2019. 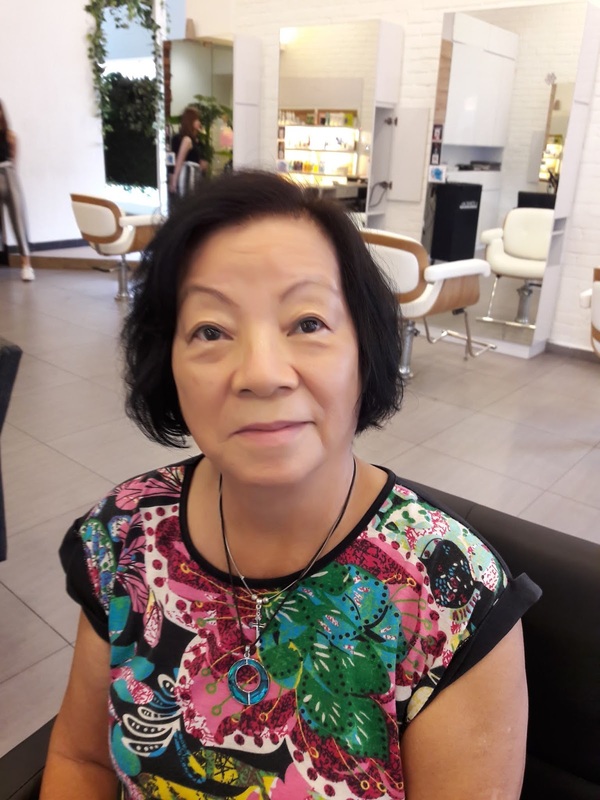 To know more about Ms. Ginnie Lam, visit her FACEBOOK. In line with the United Nation Sustainable Development Goals, SDG14 Life Below Water, OCEAN HERO CONSERVATION RUN is a mission campaign in helping to promote the conservation of marine life in Malaysia, especially towards the eradication of the hunt, sale and consumption of turtle meat and eggs, as well as the eradication of littering and usage of plastics that will endanger marine life. 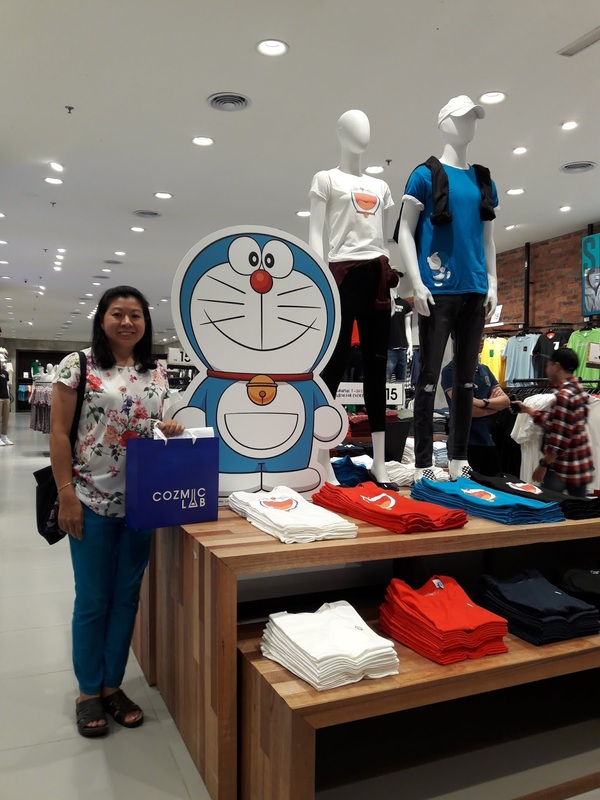 The mission campaign is also aimed at educating the public and corporate organization on efforts to save other marine life such as dolphins and dugongs. To find out more about the Ocean Hero Conservation Run which is on 2 Mac 2019 at Sunsuria City, Sepang, click their FACEBOOK. For the longest time, it has been wondered how Asian celebrities maintain a flawless complexion despite their hectic schedules, late nights and lack of sleep. Today, their secret is out. Anjeri Masks originating from Thailand is what keeps celebrities all over Asia looking radiant, supple and smooth. 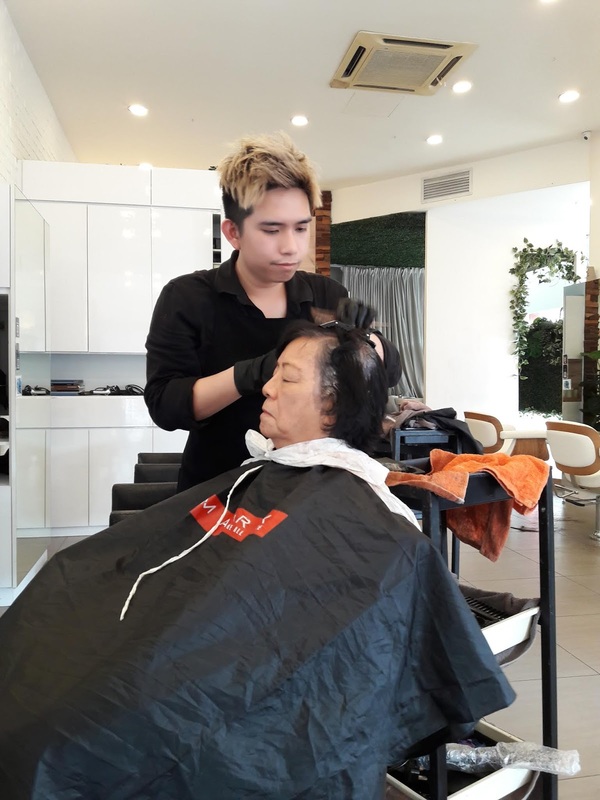 Created by founder Thanadon Yingsiriworakun of Rayanskin International Co. Ltd., this Thai based beauty care mask brand has garnered a huge celebrity following in Thailand and the Southeast Asia, especially in China where it has gained cult status. 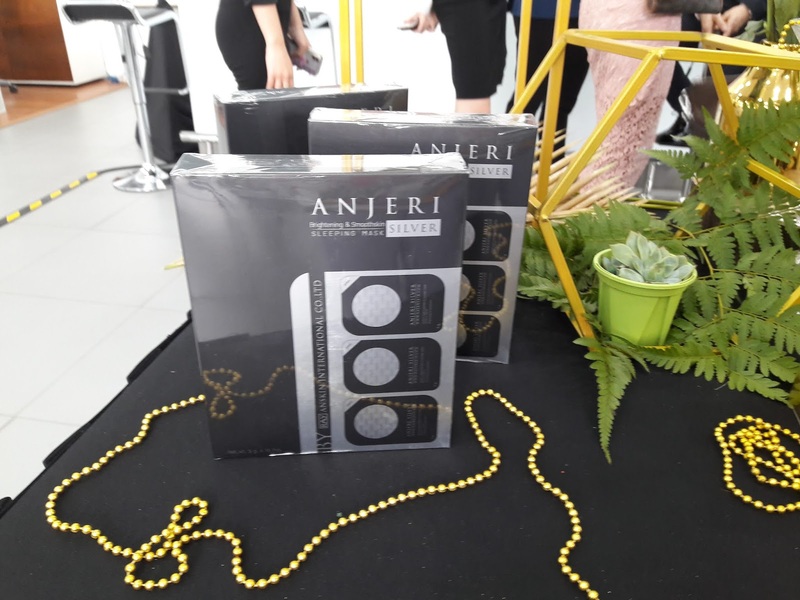 The Anjeri series of mask that will hit Malaysian waters include Anjeri Gold Facial Mask, Anjeri Silver Facial Mask, Anjeri Gold Sleeping Mask and Anjeri Silver Sleeping Mask. Anjeri Gold Facial Mask and Anjeri Silver Facial Mask are made from 100% natural silk, with composition and structure akin to the human skin. This makes it superior to the conventional paper or woven mask sheets as silk is less likely to trigger skin irritations, allergies and itchiness. 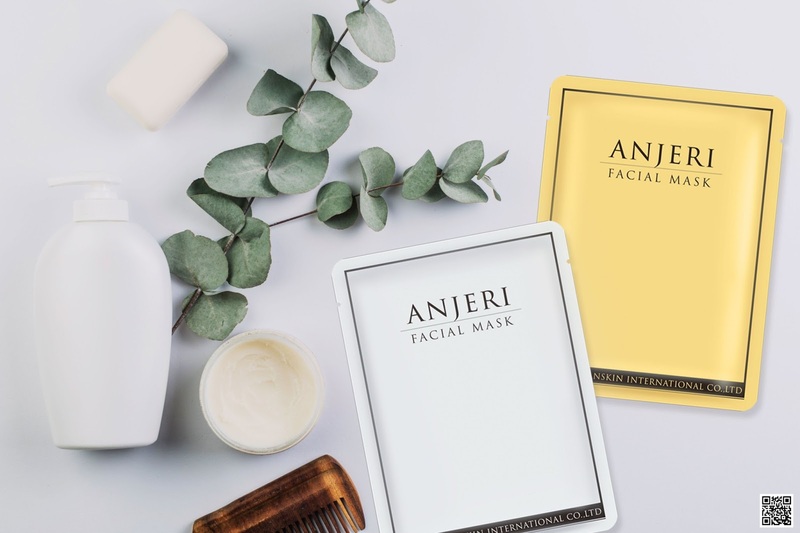 With a mask thickness of only 0.1mm, Anjeri’s silk mask sheets adheres to the skin exceptionally well and is soft and comfortable against the skin. Anjeri Gold Facial Mask is designed to keep mature skin looking youthful with potent anti-aging and brightening ingredients sourced from nature such as Centella Asiatica Extract, Polygonum Cuspidatum Root Extract, Scutellaria Baicalensis Root Extract, Camellia Sinensis Leaf Extract, Glycyrrhiza Glabra (Licorice) Root Extract, Rosmarinus Officinalis (Rosemary) Leaf Extract, Chamomilla Recutita (Matricaria) Flower Extract and Rose Rugosa Flower Extract. Users of the mask will notice moisturised, fairer, brighter skin with decreased wrinkle depth and pigmentation after only 15 minutes of recommended application time. Perhaps the most interesting ingredient in this mask is the 24k gold, touted to slow down collagen depletion while increasing the elasticity and circulation of the skin to ultimately halt all signs of aging. 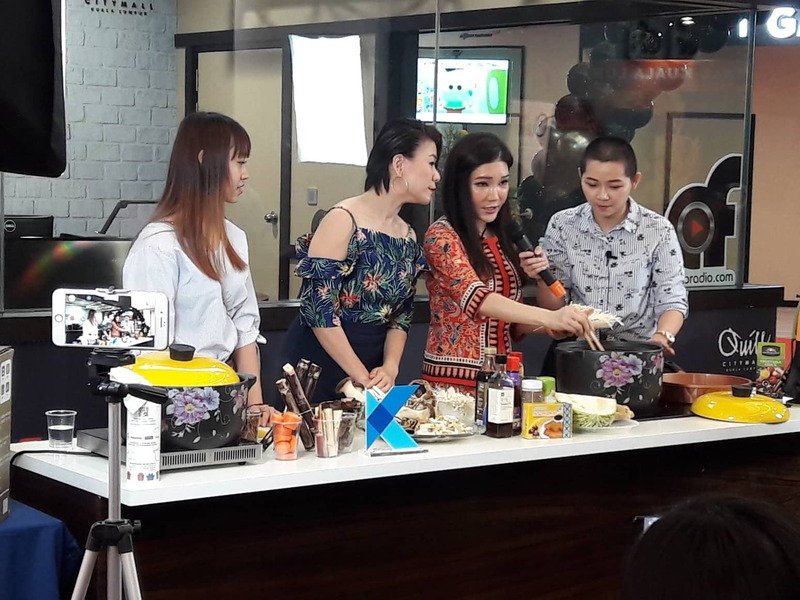 Miss Michelle Yin 冯嘉樱 (CEO of Black Belt (M) Sdn Bhd) demonstrating on how to put on facial mask on the model and sharing about the benefits. Anjeri Silver Facial Mask boosts powerful moisturising and brightening prowess with ingredients like Centella Asiatica Extract, Polygonum Cuspidatum Root Extract, Scutellaria Baicalensis Root Extract, Camellia Sinensis Leaf Extract, Glycyrrhiza Glabra (Licorice) Root Extract, Rosmarinus Officinalis (Rosemary) Leaf Extract, Chamomilla Recutita (Matricaria) Flower Extract, Rosa Rugosa Flower Extract, Pentapeptide-1, Hexapeptide-1, Oligopeptide-1, Ascorbic Acid, Aloe Barbadensis Leaf Extract and Betaine. 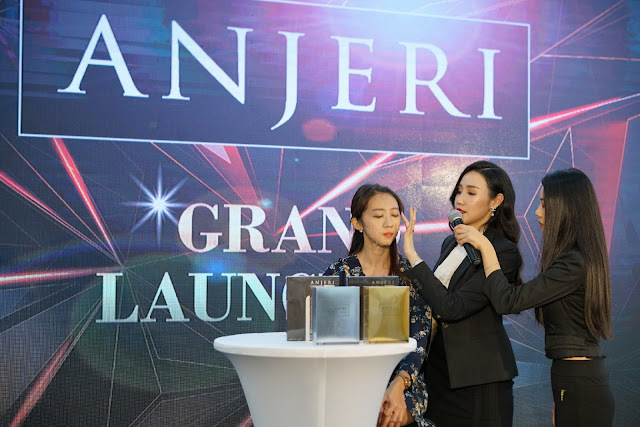 The Anjeri Silver Facial Mask restores the skin of lost moisture to reveal bright, smooth and baby-like skin. 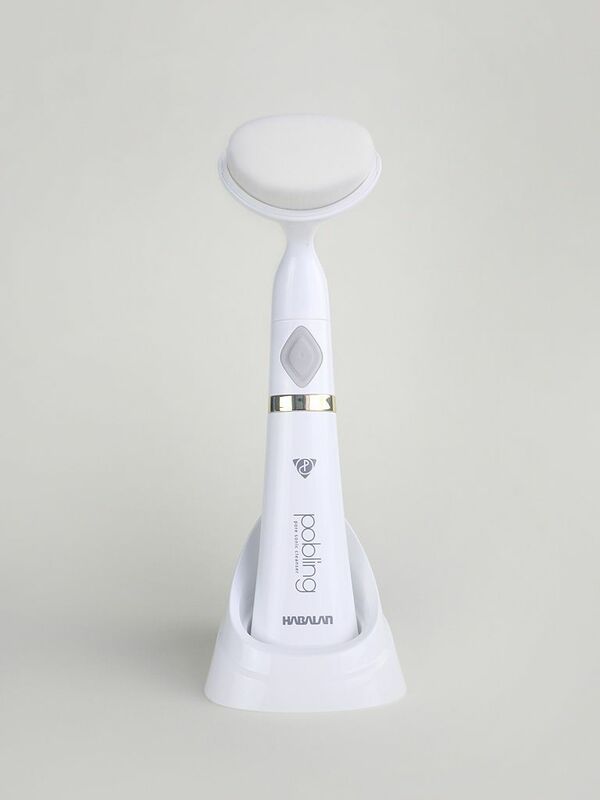 Users can expect to see reduced pore size, wrinkle depth, skin redness and inflammation while benefiting from smoother, fairer and brighter supple skin. 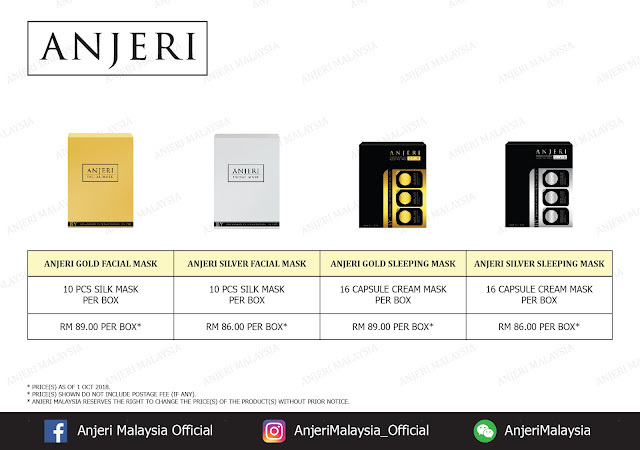 Anjeri Gold and Silver Facial Masks are available in a box of 10 masks and retails at RM89.00 and RM86.00 respectively. 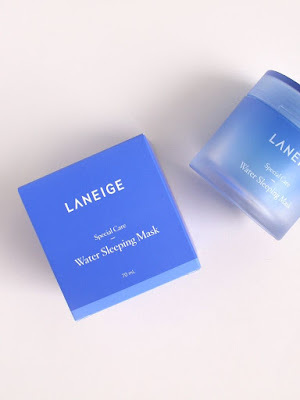 The Anjeri Sleeping Mask is quite the novelty with its unique gel, capsule shaped single-serve packaging. Designed to be applied before retiring for a restful sleep, the sleeping mask provides deep and thorough absorption to reveal a radiant, well rested and healthy complexion in the morning. 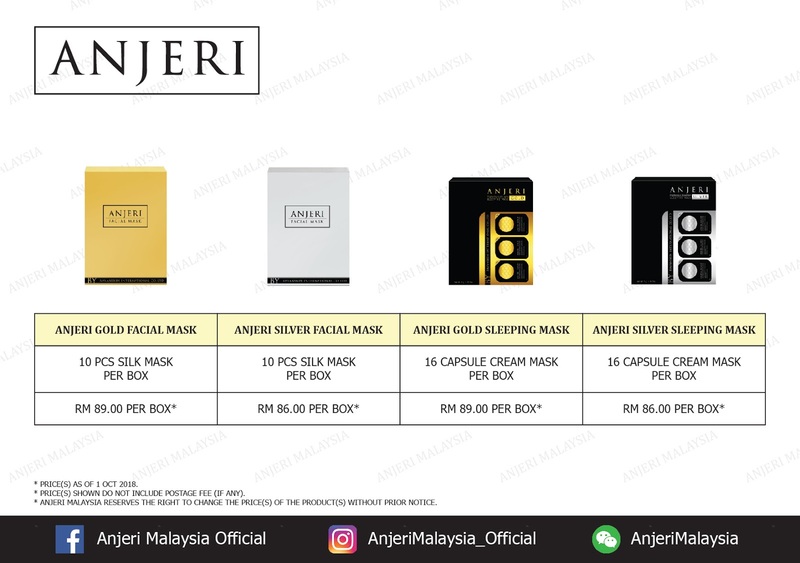 The gel-based sleeping mask series consisting the Anjeri Gold Sleeping Mask and Anjeri Silver Sleeping Mask is available in 16 capsules per box and sold at RM89.00 and RM86.00 respectively. 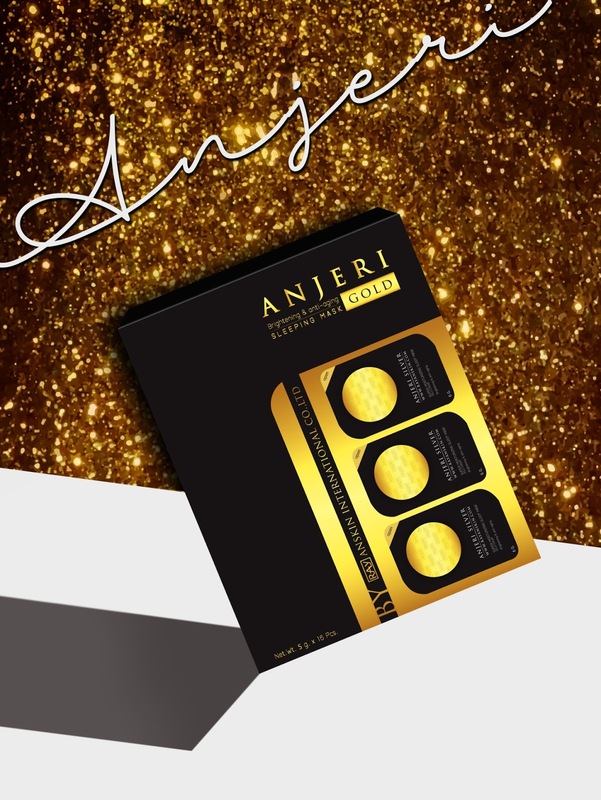 The Anjeri Gold Sleeping Mask is designed for facial rejuvenation, brightening and anti-aging. Users will wake up to skin that is fairer with less visible wrinkles, pigmentation and marks. 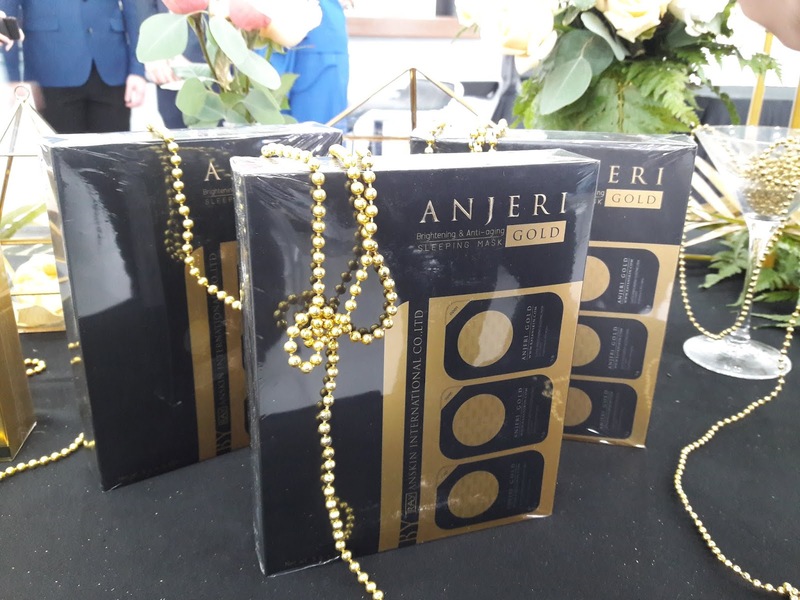 Like the Anjeri Gold Facial Mask, the The Anjeri Gold Sleeping Mask also contains 24k gold touted to slow down collagen depletion while increasing the elasticity and circulation of the skin to ultimately halt all signs of aging. The Anjeri Silver Sleeping Mask contains Cornus Officinalis Fruit Extracts for smooth skin. It has anti-oxidant and anti-bacterial qualities and helps soothe, moisturise and brighten the skin. Anjeri products contain a unique QR code that allow users to scan and make sure that the products they purchased are original from the factory. "We aim to be the leading name in facial mask in Southeast Asia. Our huge celebrity following is a testimony to the quality of our products. 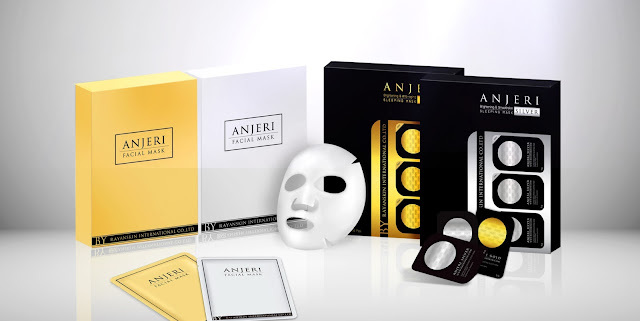 With Anjeri, if feels like giving your skin a facial indulgence every day, with comparable results. You only need to try it once to believe the claims and see why it is a firm favourite with the celebrities.” said Michelle Yin, Chief Executive Officer of Black Belt Idea (M) Sdn. Bhd. official distributor of Anjeri masks in Malaysia. 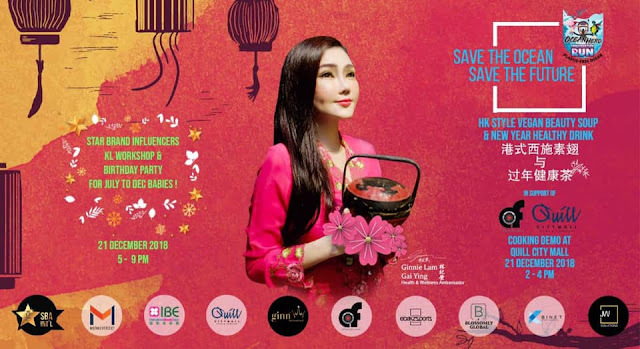 "It is indeed an honour to be the face of Anjeri Masks in Malaysia. The masks have made it very easy for me to maintain great skin despite my hectic lifestyle. I get to have that 'after-facial' glow without spending a fortune or even stepping out of the house." 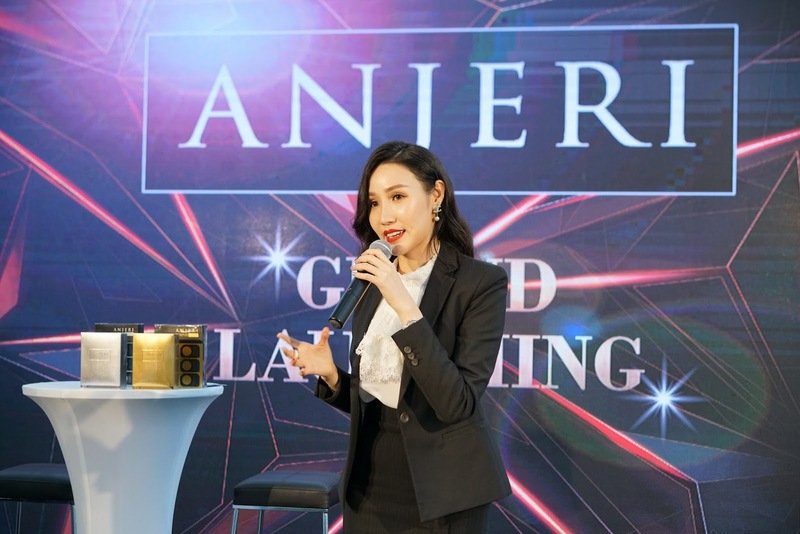 said Venice Min, Brand Ambassador of Anjeri Malaysia. I love to put on lipstick to keep my lips moisturized and to look beautiful. 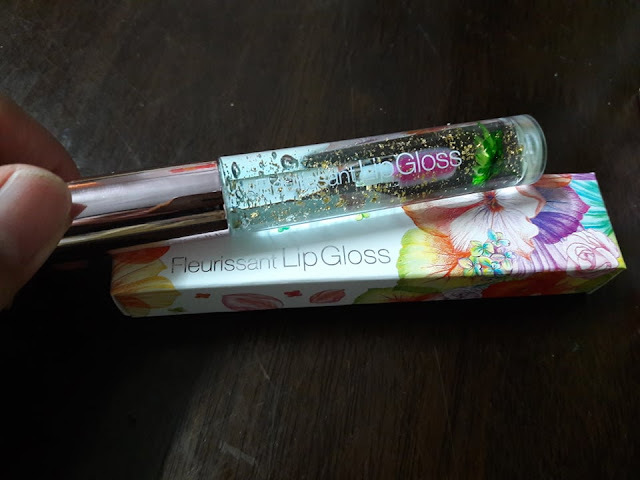 Recently I received the Glam Fox Fleurissant Lip Glow and Fleurissant Lip Gloss. The packaging was beautifully decorated with colorful flowers. The boxes look very attractive and nice. Both the Glam Fox Fleurissant Lip Glow and Fleurissant Lip Gloss is like jelly where you can see through it and both have a flower in it with gold powders. Both look amazing and smells sweet like flowers! These products are from Korea. 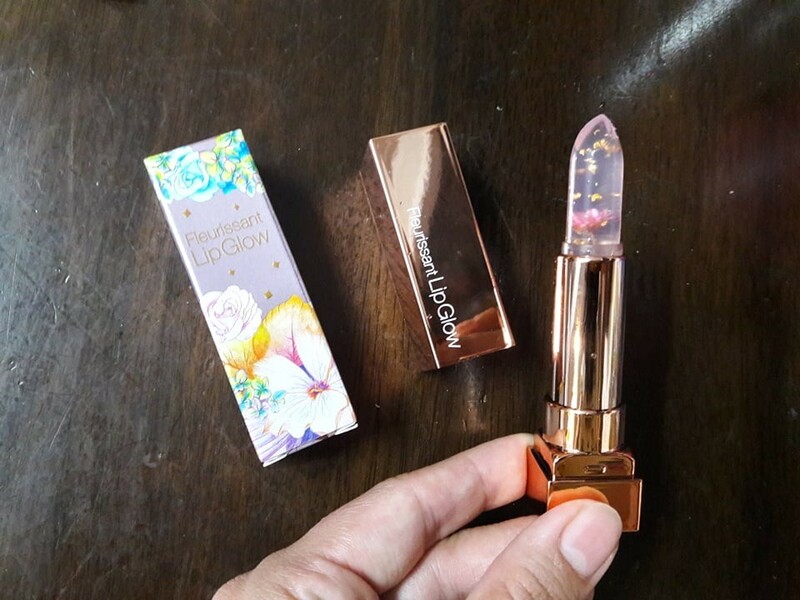 Glam Fox Fleurissant Lip Glow is 3.3g and comes in 6 types. The one I received was GL03 Peach Flower. 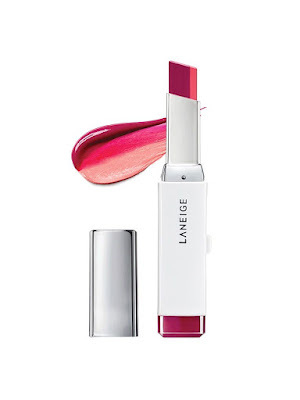 This lipstick really moisturized my lips and is great for ladies with dry lips. 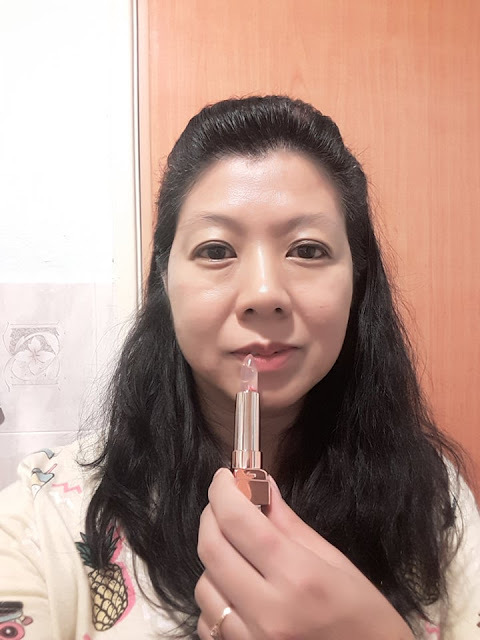 It is transparent but it gave my lips a light pink color. This lipstick will give a slightly different color for people with different body temperature and acidity level. Glam Fox Fleurissant Lip Gloss is 3.8g and comes in 5 types. I received GS01 Moonlight Flower. I really like this because it contains flowers and 24K gold powder. It makes my lips look shiny and glowing. It gives me more moisturizing effect and is not sticky. It is long lasting and smells very nice. 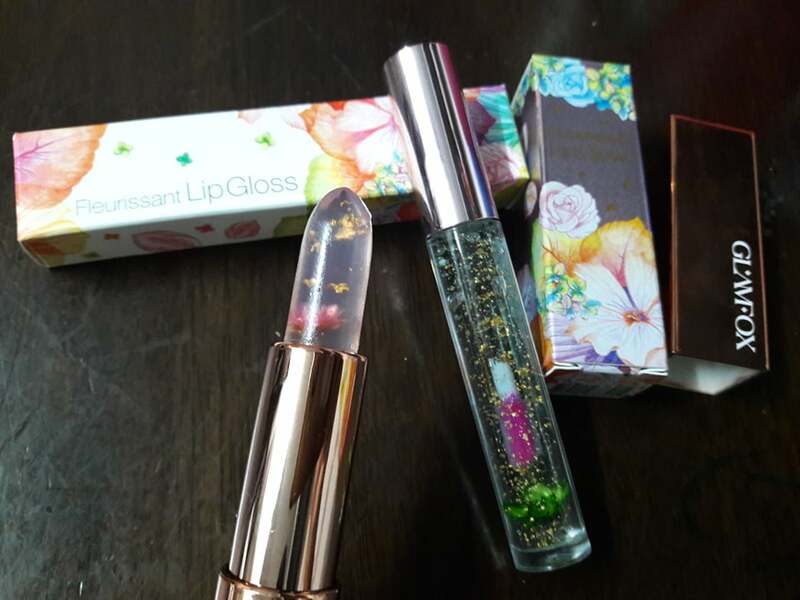 Glam Fox Fleurissant Lip Glow and Fleurissant Lip Gloss are great gifts for yourself and your friends. You can get these at Watsons Malaysia or Aeon Malaysia. For more information, please visit https://www.facebook.com/glamfoxmalaysia/. Christmas is around the corner and I am very excited to celebrate Christmas, my favorite time of the year. Beautiful Christmas decorations and lightings are seen everywhere at shopping malls, hotels and on the streets. Christmas is a time of gathering with family and friends, giving and receiving presents and wishing everyone a great year ahead. If you are not sure what gifts to buy, here is my top 10 Althea Christmas wish list that can give you something to consider. 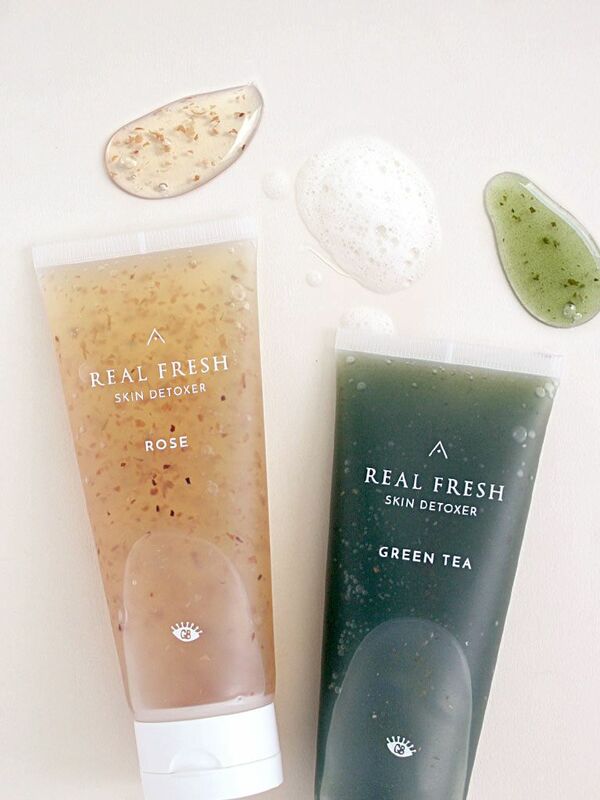 Shopping online at Althea Korea is a great way to save time and you can be sure that the products are genuine. I have read lots of good reviews on this and would love to try this out. 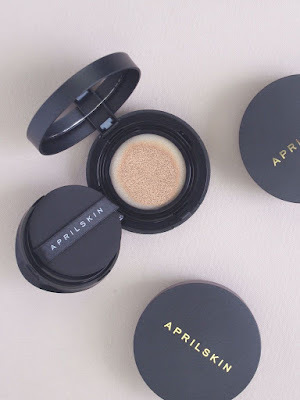 This product contains Jeju volcanic ash extracts which can draw out dirt and sebum from the pores. I want to give this a try soon. It is RM 45.00 and the link to get this is : https://my.althea.kr/super-volcanic-pore-clay-mask. 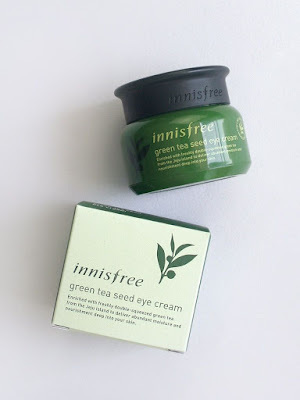 Age is catching up and I need good eye cream to slow down wrinkles near my eyes. I would like to try this out and see how it works for me. It is supposed to keep the eye area feeling hydrated all day long. It is RM 78.00 and you can get it at https://my.althea.kr/green-tea-seed-eye-cream. 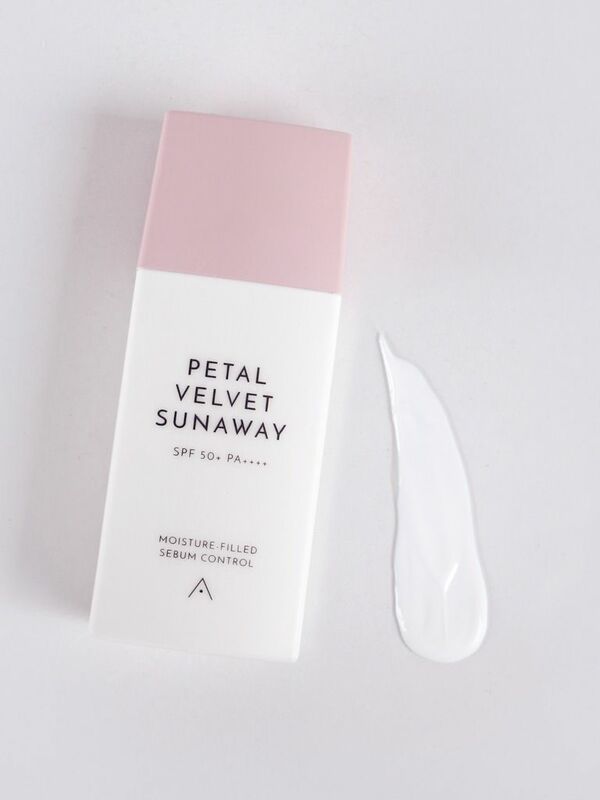 Althea Petal Velvet Sunaway is a great sun block that is made with Damask Rose extracts, rich in vitamins to penetrate deep into the skin to moisturize, strengthen, soothe and smoothen skin like a rose petal. It is one of the best sun blocks I have used. Priced at RM 43.00 and link to get it is at https://my.althea.kr/petal-velvet-sunaway. 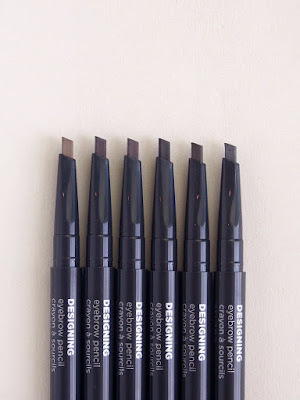 This eyebrow pencil is easy to draw because it has a flat brow design and I would love to try this. I like that it has a brush on the other end. Priced at only RM11.00 I want to get 2 different colors. 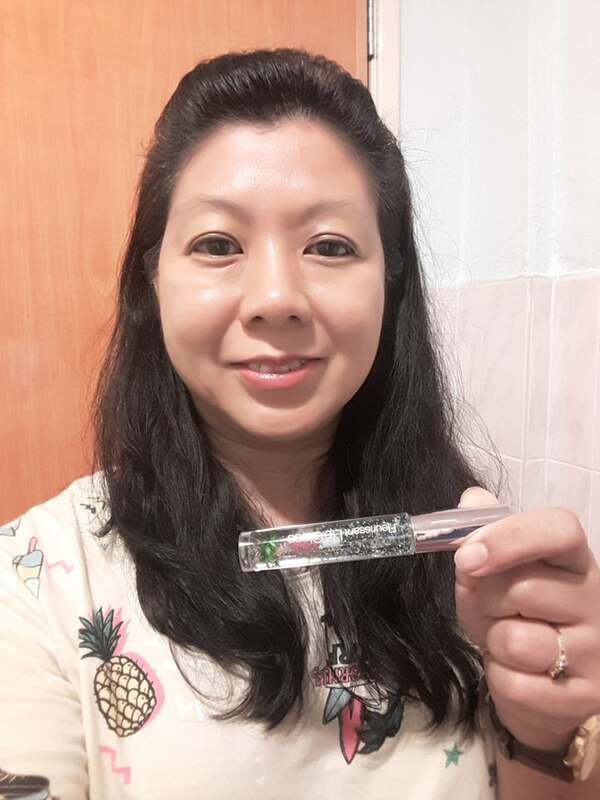 Link to get it is at https://my.althea.kr/designing-eyebrow-pencil-0-3g. I have not tried this before but would love to give it a try because it can create 10,000 sonic oscillations per minute and can clean clogged pores. 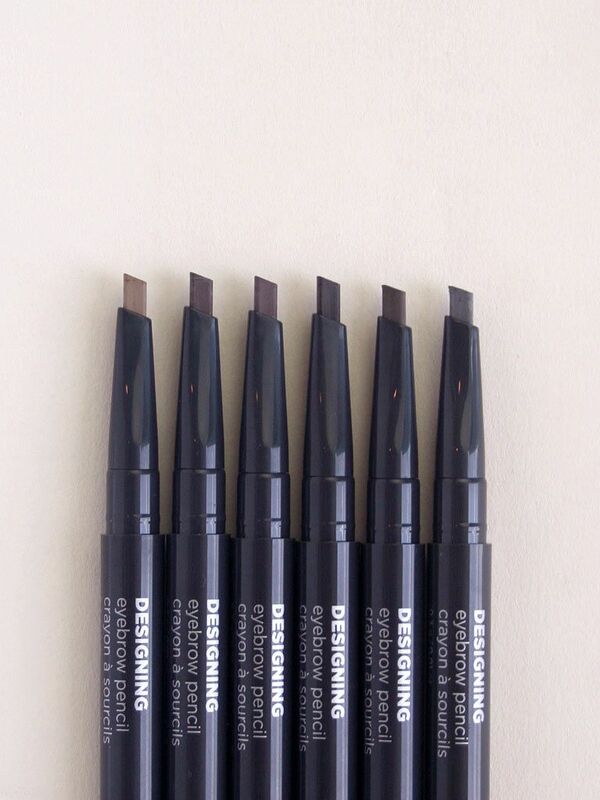 The brush head can be replaced and it's suitable for all skin types. It is RM 88.00, get yours at https://my.althea.kr/pore-sonic-cleanser-white. I would like to get my hands on this because it can cover imperfections and is made with 45% water-based formula to keep skin hydrated. It also has vitamin E and antioxidants to let skin look younger and more elastic. It will be a really nice gift to have. Selling for RM 82.00 at https://my.althea.kr/magic-snow-cushion-2-0-2016-new. These items above are in my Althea Christmas wish list. What's yours? 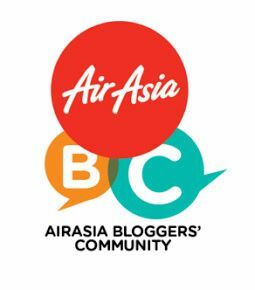 Althea Korea offers discounts and ships products to everywhere around the world. 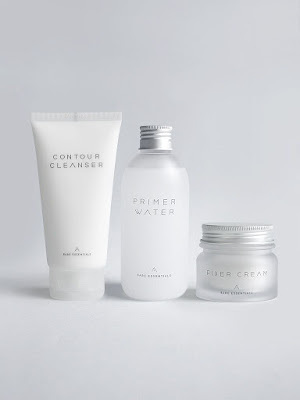 I have ordered Althea products many times and love that they ship out from Korea in about 1-2 weeks' time. Their products are all genuine too. 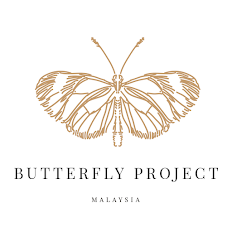 Their website is at https://my.althea.kr.